Have you heard about I.C.E.? I don’t know where I’ve been hiding, but last week I heard about I.C.E. for the first time. I’ve seen this before but never bothered to ask about it. I.C.E. stands for In Case of Emergency. People add “I.C.E.” next to their emergency contacts in their cell phones, so in the event of an emergency, authorities would know exactly who to contact. I haven’t always entered last names in my contact list. 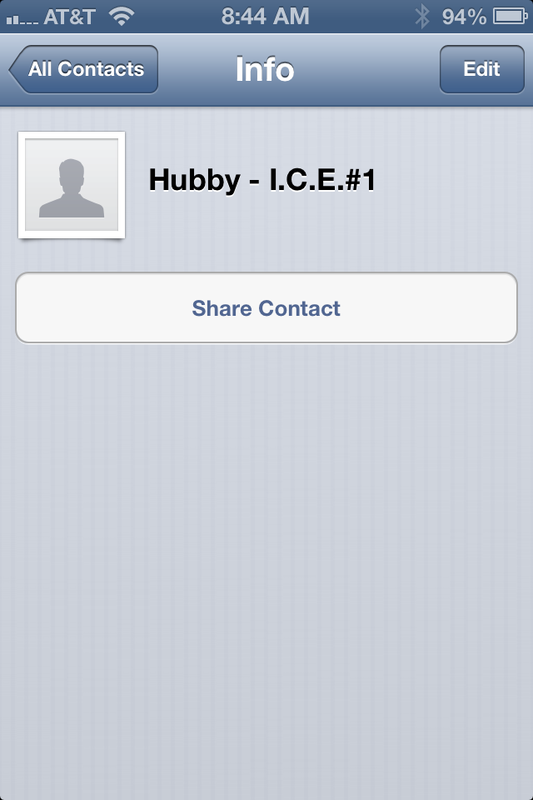 Back when I got my first cell phone, I just entered my husband as “Hubby”, since I.C.E. hadn’t been “created” yet. 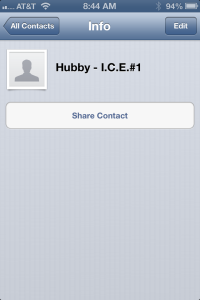 Hubby – ICE#1, Mom – ICE#2, In-laws – ICE#3, Friend – ICE#4, though I have their actual names entered. I think this is a great idea. I highly recommend adding I.C.E. to your Emergency Contact(s). If the need should ever arise, you’ll be glad you did.